I think Mark is trying to look like the Michellin man! p.s. 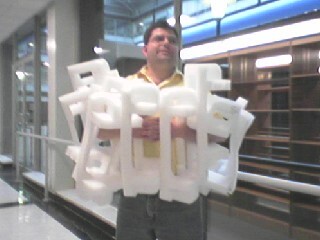 He's holding styrofoam pieces used for packaging computers (Dell) for shipping. He was on his way to the dumpster.